"The 19th Season of Downtown Jazz Presented by the Winston-Salem Federal Credit Union kicks off on June 10, 2016 in Corpening Plaza at 237 W. First Street in downtown Winston-Salem. 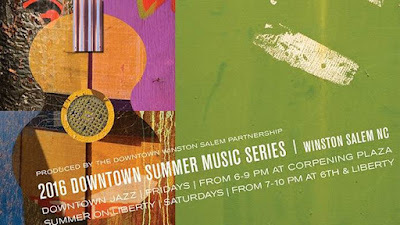 Downtown Jazz is a production of the Downtown Winston-Salem Partnership in collaboration with Carl Denerson of Post Entertainment. Mr. Denerson, a jazz aficionado and promoter from Georgia, has strong ties to national artists within the smooth jazz genre and has grown the jazz music scene in Winston-Salem and the Triad Area. We are looking forward to another great summer of COOL JAZZ! Brian Simpson (Headliner) - Keyboardist and composer Brian Simpson is a sought-after studio musician and musical director who has regularly crossed from jazz to pop and R&B. Raised in Gurnee, Illinois, Simpson grew up in a musical family and eventually earned his music degree from Northern Illinois University. After graduating, he relocated to Los Angeles, where he found work performing with such artists as Boney James, Norman Brown, and Everette Harp. This led to stints touring with a variety of pop artists, including Janet Jackson and Teena Marie. In 1991, Simpson garnered more attention after co-writing Surface's number one hit R&B single "The First Time." As a studio musician, Simpson has worked with such artists as Stanley Clarke, Kirk Whalum, and George Duke. Since the late '90s, he has acted as musical director for saxophonist Dave Koz. Simpson has released several albums as a solo artist, including 1995's Closer Still and 2005's It's All Good. Two years later, Simpson delivered the album “Above the Clouds”. In 2013, Simpson released his fifth solo album, “Just What You Need”, and in 2015, his sixth album, “Out of a Dream”. Elan Trotman (Headliner) - Saxophonist Elan Trotman, has quickly become one of jazz’s most thrilling and emotive performers as he continues to stand out and push boundaries as a composer, performer, teacher and recording artist. 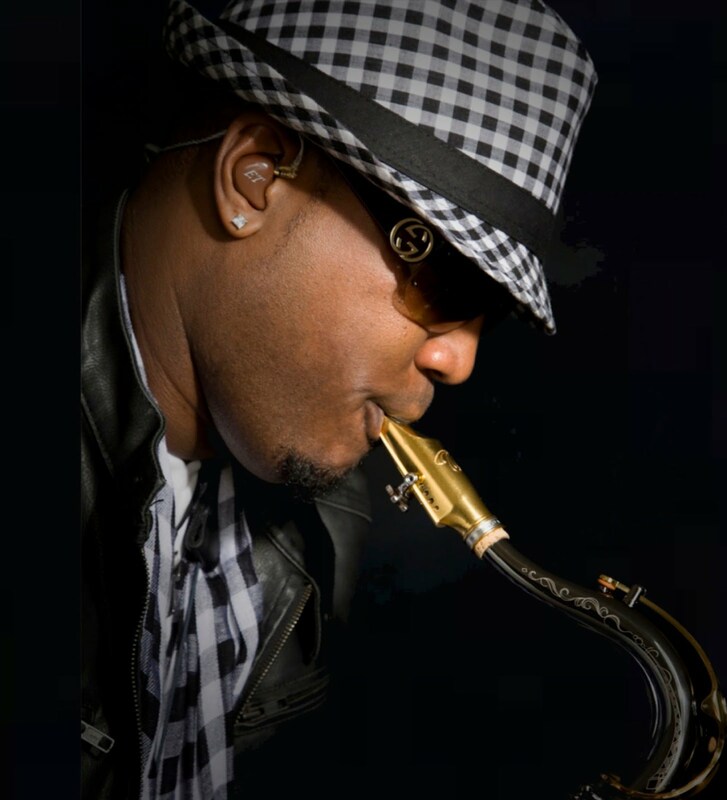 Trotman’s playing, though inspired by Grover Washington, Jr., Kirk Whalum and Arturo Tappin (Elan’s childhood mentor), displays his own fresh ideas and distinctive tone. So much so that the New England Urban Music Awards, and The Barbados Music Awards both named him Jazz Artist of The Year on multiple occasions. Trotman is also the founder and host of the Barbados Jazz Excursion, a weekend of jazz in his homeland every Columbus Day Weekend which has featured artists like Jeff Lorber, Gerald Veasley, Peter White and Jeffrey Osborne.Born and raised in Barbados, the native island of pop star Rihanna, and educated at the world-renowned Berklee College Of Music in Boston, Trotman approaches jazz in his own way. Blending Caribbean rhythms from his roots with skillful horn textures, his playing is full of surprises. Reggie Buie Trio (Opening Act) - Rapidly becoming one of the Triad's premiere jazz groups, the Reggie Buie Trio started as weekly performers in a local coffee shop in 2004, Reggie Buie and his trio have made their presence known by performances at local and regional jazz festivals, in fine dining establishments, in jazz venues, formal banquets, political fund raisers, wedding receptions, and other performances for any occasion. Their success has been largely due to the group's versatility and their ability to move effortlessly between playing soft background music, performing jazz standards, music for dancing, or delivering passionate jazz performances and improvisation during live concerts. The RBT released its debut CD in early 2006. "The First Time" has received many great reviews and numerous accolades from the groups many fans. Opening performer – Galvin Crisp"